It’s always been a bit of a mystery why LSD is such a potent hallucinogen. Unlike most similar drugs, it takes only a very small dose—say around 100 micrograms—to have strong effects that last 12 hours or longer. Now, for the first time, researchers have caught LSD (or lysergic acid diethylamide) in the act of binding to a receptor in the brain, something various researchers have attempted since the drug began to be studied in the 1950s. “This gives us tremendous insights into how it exerts its profound effects on human consciousness. And it only took 20 years,” says Bryan Roth, a psychiatrist and researcher at the University of North Carolina at Chapel Hill. He and his colleagues described the work in a paper published January 26 in the journal Cell. 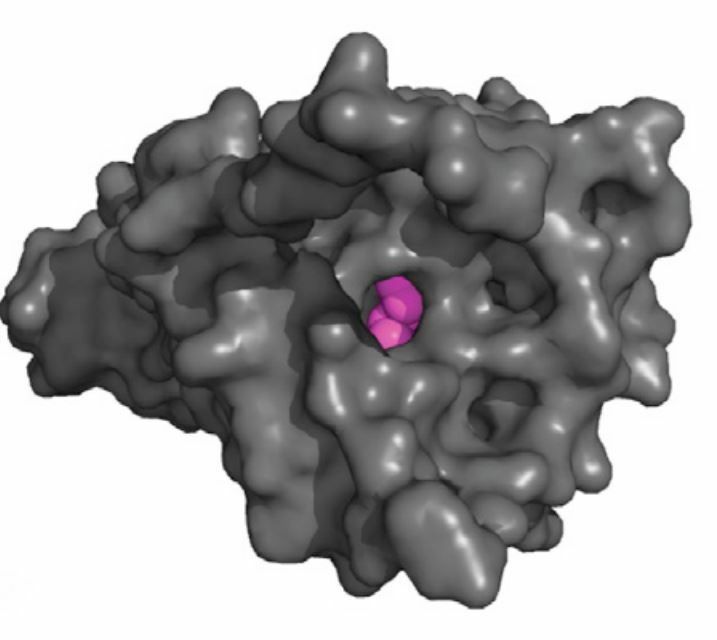 The team finally succeeded in creating a snapshot of LSD binding to the serotonin 2b receptor. 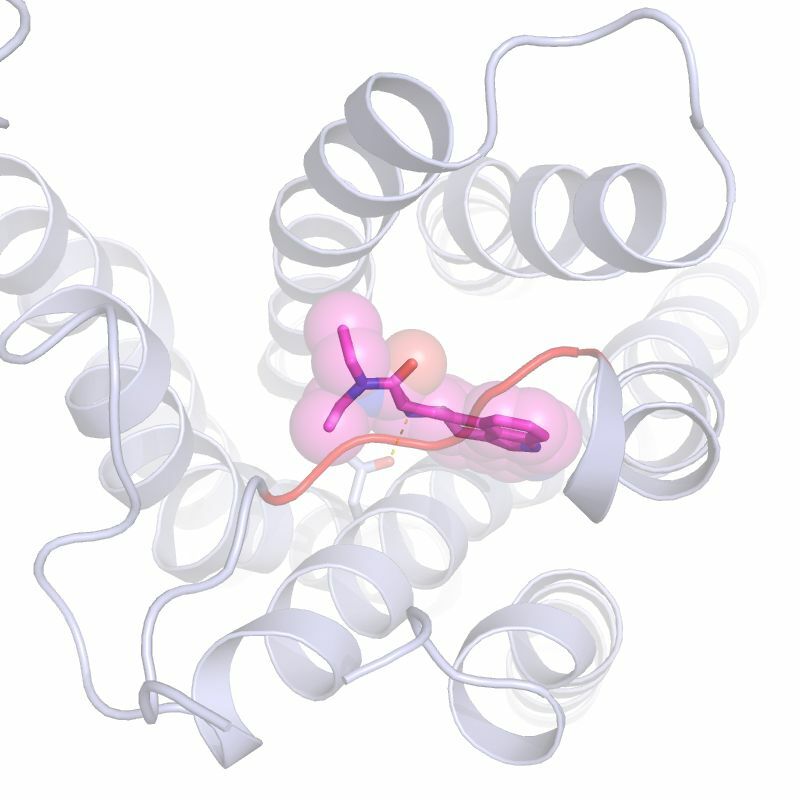 The drug’s psychedelics effects are thought to be due in part to its binding to this receptor, but even more so to the serotonin 2a receptor, which has an almost identical shape, Roth says. One astonishing thing the scientists noted: When LSD snaps into the serotonin 2b receptor, a lid-like loop of protein slides over the top of the drug and hampers the chemical’s release. This overhang apparently keeps LSD bound within the receptor much longer than it otherwise would and likely explains why the drug has such long-lasting effects, Roth adds. The team actually created a mutant 2b receptor in which there was no lidlike projection, to which the LSD bound for only a fraction of the time. They’ve looked for this mutation in a genetic database of 60,000 people and haven’t found anybody with this variant so far. Such a person would be expected to have very short acid trips, Roth says. Previously, Roth says, he was skeptical that microdosing would have any effect, because by his calculations the amount of ingested LSD that reached the brain would be extremely small. However, knowing about the “lid”—and how it extends LSD’s effects—explains how microdosing may work, he says. He cautions, however, that there has been almost no formal research done on microdosing and whether it actually has beneficial effects. And, of course, it’s important to note that LSD can have adverse effects and that it’s a Schedule I substance in the United States, the most restrictive category of drugs. The “snapshot” the team created is technically called a crystal structure, which shows the location of every single atom within a serotonin receptor bound to an LSD molecule. This laborious and difficult process begins with the mass production of serotonin 2b receptors, Roth explains. Researchers genetically engineered a cell line derived from caterpillars to produce these proteins, after which they meticulously purified them. Then they mixed up the receptors and LSD in a solution and waited for tiny crystals which can’t be seen with the naked eye, to form. The scientists then sent these microcrystals to the Advanced Photon Source at the Argonne National Laboratory, outside Chicago. There, they used a technique called X-ray crystallography to bombard the tiny complex with a concentrated stream of X-rays, creating a diffraction pattern that allowed them to work out its structure. “These results now give us critical structure-function information that will significantly move the field forward,” says Charles Nichols, a researcher at the Louisiana State University Health Sciences Center who wasn’t involved in the study. Still, much remains to be learned about how this binding explains LSD’s effects. Certainly, it causes changes to how the neurotransmitter serotonin is transmitted in the brain, and serotonin is heavily involved in emotions and the way the brain processes visual information, both of which are altered during acid trips. The crystal structure of LSD was first obtained in the 1970s and described in a study in the journal Science by Peter Pauling, son of famed chemist Linus Pauling. The junior Pauling first became interested in LSD when doctors attempted (unsuccessfully) to treat his manic depression with the drugs in the 1960s, Roth says, at a time when hallucinogens were widely tested for their effects on mental illness, consciousness and spirituality. A recent revival in psychedelic research has shown drugs like LSD and psilocybin, the active ingredient in magic mushrooms, hold promise for treating conditions like addiction, depression and anxiety in terminally ill patients. Roth says that the goal of the work, which was funded by the National Institutes of Health, is to eventually “come up with better drugs to treat psychiatric disorders.” One goal might be to produce something similar to LSD but without the hallucinogenic effects, he adds. Better understanding how drugs like LSD work, he says, is a first step in that direction. Editor's note: This post originally stated that Linus Pauling discovered penicilin, which is incorrect; Alexander Fleming discovered penicillin.